If you’re still looking for a relaxing, special summer vacation, but also looking to MAGA, you’re in luck: President Donald Trump’s childhood home is now on Airbnb. 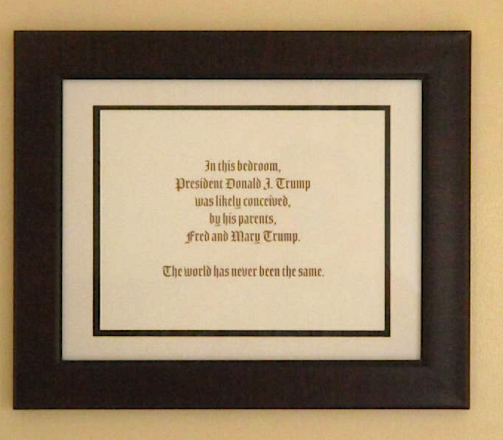 That means, for $725 a night, you and 19 of your closest friends can sleep in the same rooms where Trump stayed as a baby (and apparently where he was likely conceived). “Here they lived, in a home built by Fred [Trump’s father] himself. This is their home,” the host writes.